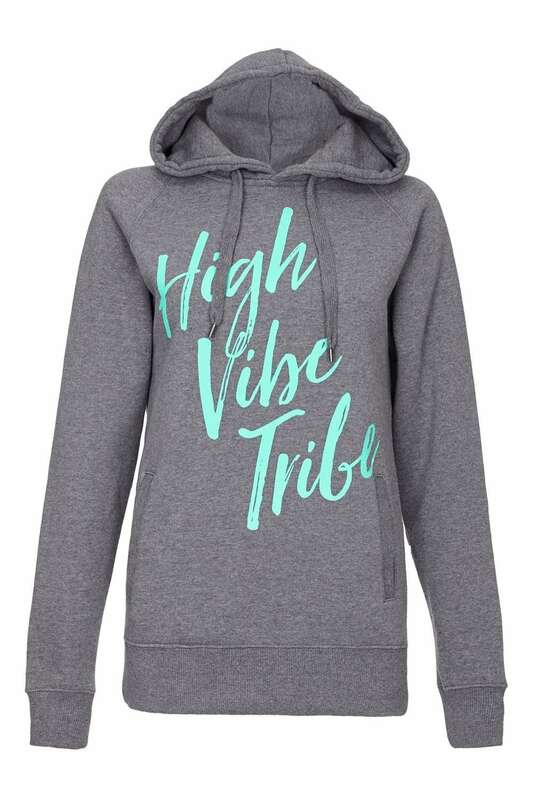 Yogaleggs limited edition High Vibe Tribe slogan yoga hoodie in Grey and Turquoise. Made from 80% combed cotton. Perfect outerwear for trips to yoga, pilates, running, barre, spinning and for lazy days spent lounging around.